Download a copy of the Submission form in Arabic. • Authors cannot submit their own work: submissions are to be made by eligible publishers but this must be done in consultation with the authors. The longlists for 2014 to 2019 are set out below. • Self published novels or novels which have been published via a commercial arrangement through which the publisher is paid by the author are not eligible. If the publisher is a company then if the novel is by the person who owns the majority shareholding or otherwise controls the company it is not eligible. 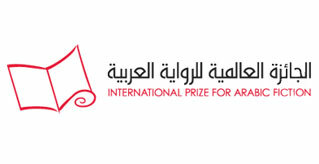 • The novel must respect publishing rights and copyrights of the Arab country where it has been published and any novel which is published without the permission of the original author and/or publisher is not eligible. • The judging panel has the right, at its discretion, to consider novels published between July 2017 and June 2019 which have not been submitted by publishers. The process by which this happens is known as 'calling-in'. The Administrator, acting at the request of the judging panel, invites the relevant publisher to send in the novel requested by the judging panel (7 copies and with the details required on the application form as for normal submissions). The work 'called-in' will not be counted as part of the publisher’s submissions quota. • If a publisher submits a novel by an author who has previously been shortlisted for the Prize, this work will not be counted in the publisher’s submissions quota, that is, it is accepted automatically and in addition to the works which the publisher is otherwise allowed to submit. • IPAF reserves the right to reject any novel that does not comply with the conditions set out above and its decision is final; it may impose other sanctions as it sees fit.